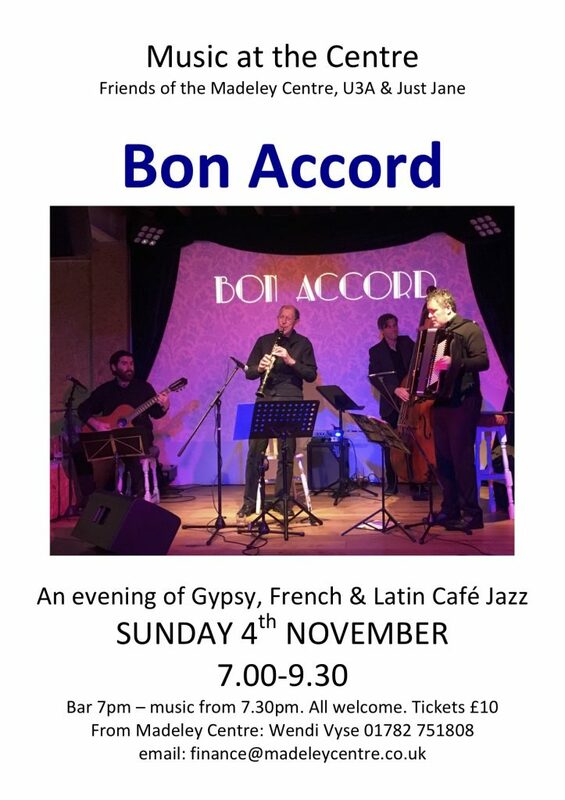 Bon Accord are inspired by the music of Django Reinhardt and Stephane Grappelli’s “Quintet of the Hot Club of France”, a style now known as Gypsy Jazz. Most bands in this genre today consist entirely of stringed instruments. Django, however, also recorded with accordionists and clarinettists. Our quartet follows this lead with a line-up of accordion, clarinet, guitar and double bass, playing both well-known and more contemporary Gypsy Jazz numbers plus French and Latin pieces.